Image of what the new Uptown Suites is expected to look like when it is complete in Riverview. It is expected to open in fall 2018. 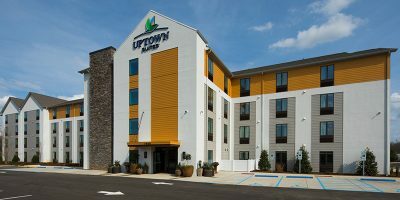 “We always look for areas close to big retail establishments and partners,” said Virginia Swords, director of marketing for Uptown Suites, based in Atlanta. “In Charlotte, we are near Charlotte Motor Speedway and in Homestead, we are near that speedway. “For Tampa and Riverview, we decided to pick this location because of the growing population and the job growth,” Swords said. The connection, she said, comes from a knowledgeable hotel staff who “know the pulse of the community. On our end, that’s a great piece of it. We also offer high tech rooms with free Wi-Fi, high-tech room lighting, a 43-inch or larger TV with multiple connections for gaming and such and rapid-charging USB stations.” Each room has a full kitchen. 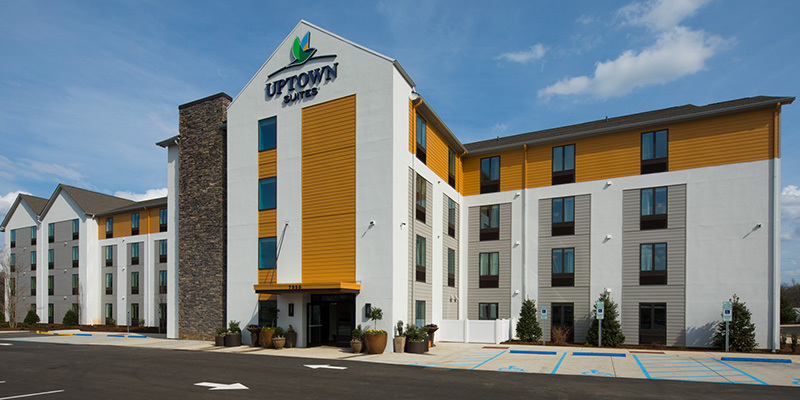 The new Uptown Suites property will also have an electric car charging station, a 24-7 fitness center, laundry facilities, a self-serve food convenience mart and a lobby with community seating. “A while back, like when I was a child, I remember there was a motel located near U.S. 301 and Krycul Avenue,” but that was it for hotels in Riverview, said Tanya Doran, executive director of the Greater Riverview Chamber of Commerce. She said the chamber is excited to get its second national chain hotel in this area. At the groundbreaking in Riverview: From left: Ankit Patel, Acquisitions and Development Manager; Andrew Twetan, VP/Partner, Connor & Gaskins Unlimited, LLC; Gary Scott, Director of Development; and Michael Haas, Sr. VP of Real Estate & Acquisitions. The Hilton Garden Inn Tampa/Riverview/Brandon moved in to Riverview a few years back and has been a popular hotel, with roomy accommodations, workout areas, and rooms with free Wi-Fi, flat-screen televisions and mini-refrigerators. Both will be great options for guests, Doran said. 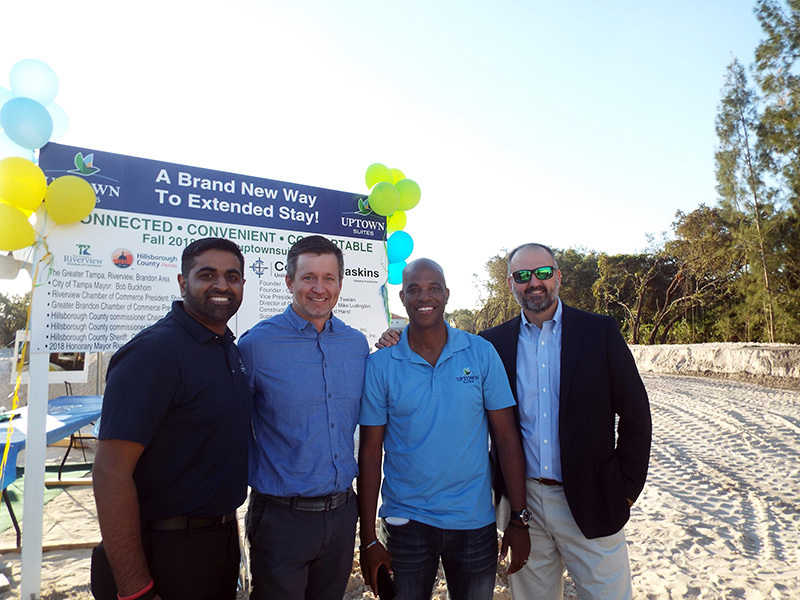 The chamber hosted the groundbreaking for Uptown Suites. Different locations cater to different crowds, she said, noting that while Uptown’s Concord, N.C. property draws a lot of transient business, its Smyrna, Tenn. location tends to draw more long-term guests. With so much growth in the Riverview area, including continued construction of subdivisions and an explosion of new retail moving in, having another hotel fits in with the surge in the area.